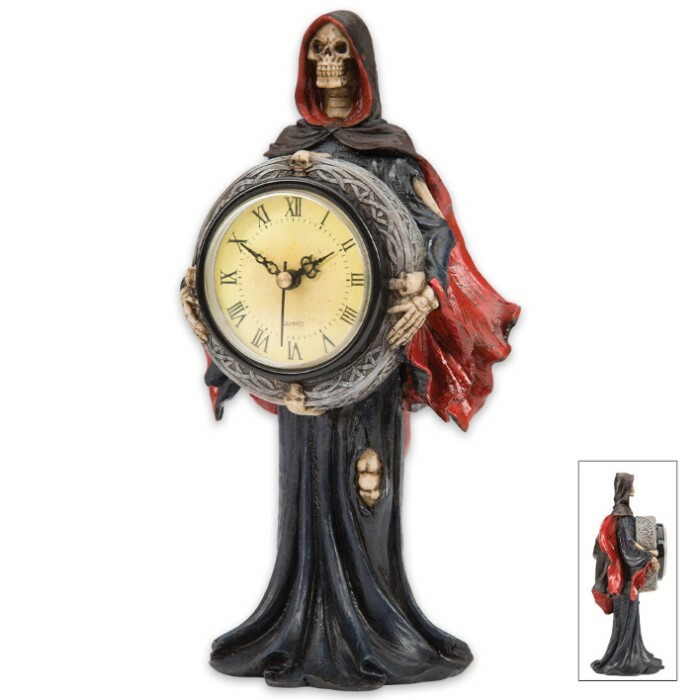 Grim Reaper Statue Clock | BUDK.com - Knives & Swords At The Lowest Prices! Time is fleeting! 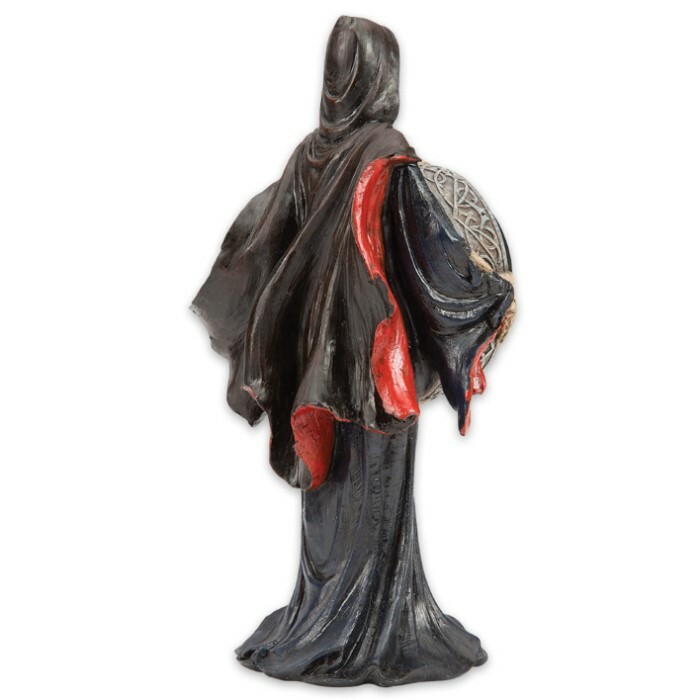 Add this Gothic statue to your interior design as a reminder. Expertly sculpted of high-quality resin, the red-cloaked Grim Reaper holds a clock in his hands. 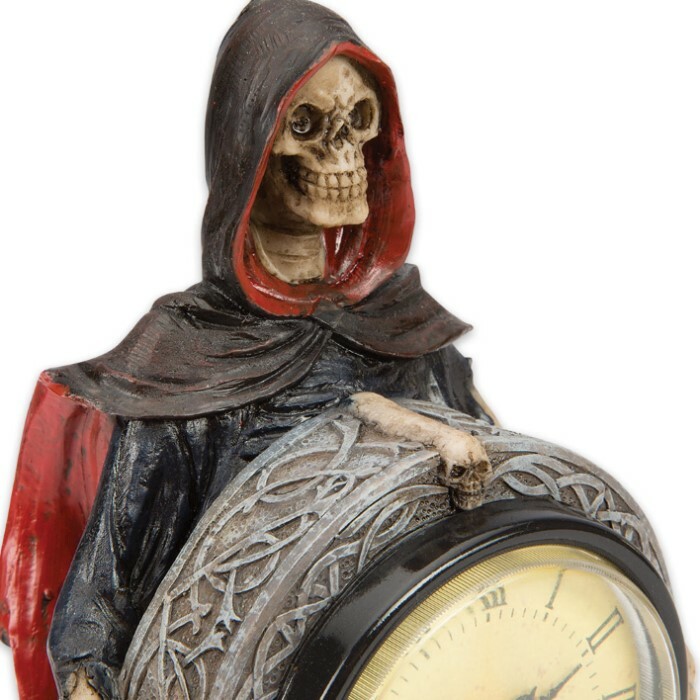 The clock is a quality quartz movement timepiece which uses one AAA battery. Fine quality and original design make our home decor collection stand above all others! Battery is not included.